New BNF interactions are complete! It’s a huge milestone for the team – the improved content is more consistently structured, allowing you to find interactions more easily, and gives more information about the severity of an interaction, helping you make clinical decisions. 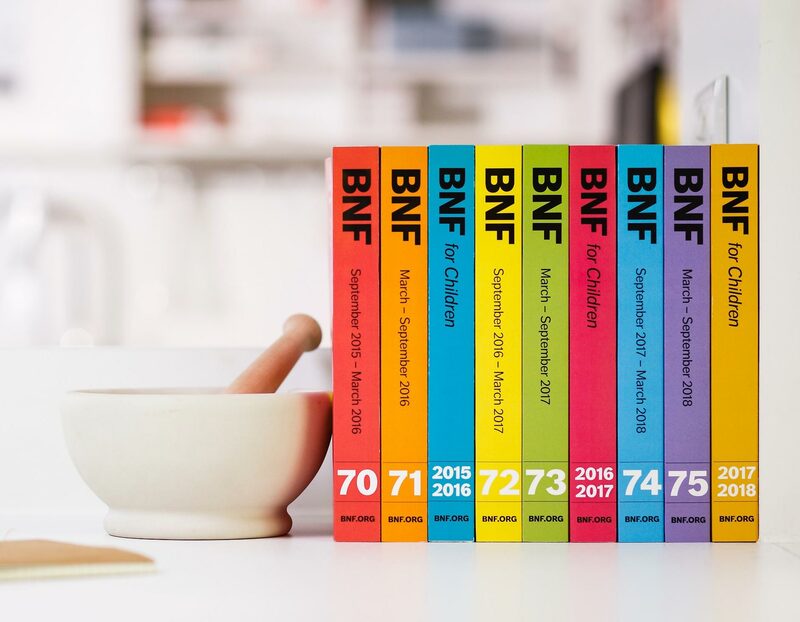 The new interactions are in the print editions – BNF 74 and BNF for Children 2017­-18, on MedicinesComplete as well as the BNF app and new FormularyComplete. We know from listening to users that the interactions content was becoming increasingly difficult to access. We were also aware that the nature of the way interactions were studied had changed, with regulatory authorities providing more guidance around predicting interactions. In addition, the BNF is committed to making the sources of its recommendations more transparent and so the time had come to re-write the interactions content. The biggest change in this rewrite is the acknowledgement that the predictions behind interactions are now much more reliable. Therefore, predicted interactions, where the result is substantiated by the known effects of the drugs and likely to result in a clinically important effect, are now more thoroughly covered. A more systematic approach to the actions that should be taken as a result of an interaction is now present; actions are included whenever a manufacturer recommends avoiding the combination or changing the dose. Levels of evidence have been added to illustrate the strength of the information underpinning our recommendations, in line with the work to do this across the whole of the BNF. Severity of an interaction is now included, to help clinicians distinguish between interactions that may result in highly detrimental effects and interactions that may cause minimal inconvenience to a patient. A consistent approach to pharmacodynamics interactions. 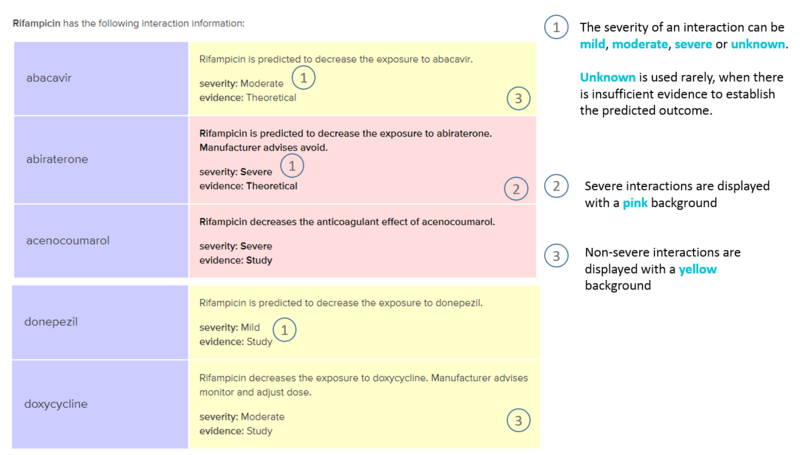 In print, creating tables of drugs known to have certain pharmacodynamics effects ensures coverage is more consistent. Digital platforms provide the same information but as messages between drug pairs. We worked with the expert editorial team that write Stockley’s Drug Interactions to draft a new policy for BNF interactions content that was shared with a working group drawn from members of the BNF Joint Formulary Committee. The policy was approved in principle and a pilot rewrite of the content undertaken. This led to some small adjustments to the policy before the full re-writing began. Firstly we wrote interactions for all of the drugs in the BNF, using our standard 3-step approach of writing the content, independently reviewing the content and then independently approving the content as fit for publication. Once this process was complete we compared the old content to the new content to ensure nothing critical had been overlooked or omitted. Only after completing this thorough review process did we sign the content off as ready for inclusion in the BNF Publications. The previous black dot only allowed for two levels of severity to be represented. In the new content, there are four levels of severity – this is expressed by the use of words, rather than symbols. We are indicating both severity of the interaction and also indicating the level of evidence behind an interaction. This means that there are two categories with several levels in each, and therefore it was clearer to use just the words to express these concepts. To read the FAQ’s visit this page or download the PDF here. These improved features add clarity to the content, allowing you to make informed decisions for your patients.